The pages of trazodone 50 mg pms his essay dont actually smolder as you.. So you love the look of barn doors. Who doesn’t? 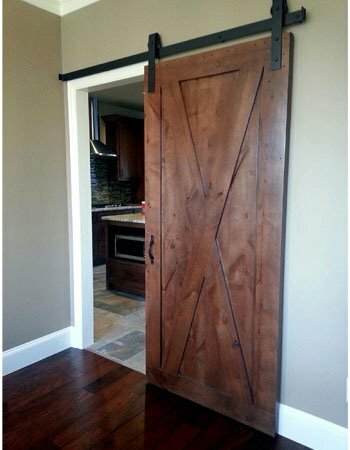 And you want to have one in your house, but you’re not sure whether a barn door will really work in your space. Well, you’ve come to the right place to figure that out. Here are the questions you need to ask yourself to figure out if a barn door is the right fit for your home. This seems like a pretty obvious question, but you’d be surprised how easy it is to assume you have room for a barn door and then find out you don’t. Barn doors don’t take up nearly as much floor space as a swing-door, but they do take up wall space. For a single barn door, you need at least as much space along one wall as the door opening is wide. And for double doors, you’ll need at least half the width of the opening on either side of the door. That’ll give the doors enough room to slide all the way open. You also need to have enough space between the top of the doorway and the ceiling so there’s room for hanging hardware. 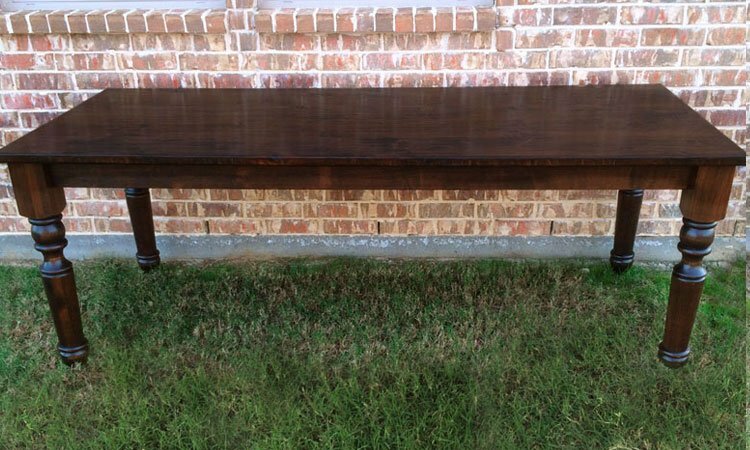 Most houses are level enough to hang a barn door, but it’s still something you’ll want to check. Make sure your door openings, headers, ceilings, and floor are all level before you purchase your barn door. If any of these measurements are off, you could end up with a door that hangs slightly ajar or which scrapes the floor when you try to open it. Barn Doors are heavy, so you need to make sure there’s enough structural support to hang them. If the wall itself isn’t strong enough this problem is easily fixed. You can simply install a header attached to the wall studs above the doorway. That’ll be able to support the weight. Will It Match My Decor? Barn doors can work with just about every decorating style. It just depends on the type of barn door you choose. 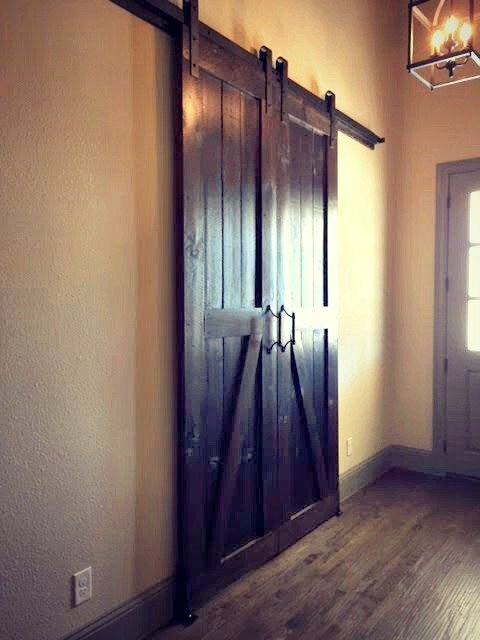 We usually think of barn doors with a more rustic interior design such as rustic chic, farmhouse, or log-cabin style. And they’re perfect for that. 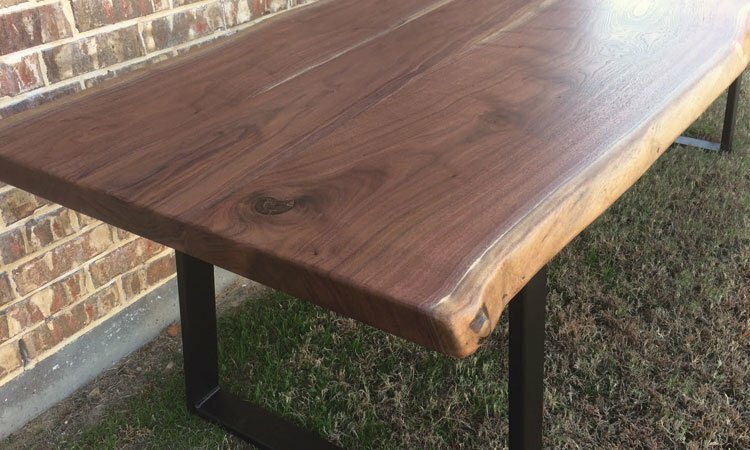 But if you want the doors to have a chic and modern look, just opt for wood that’s smooth and polished with a stain that matches other woodwork in the room. 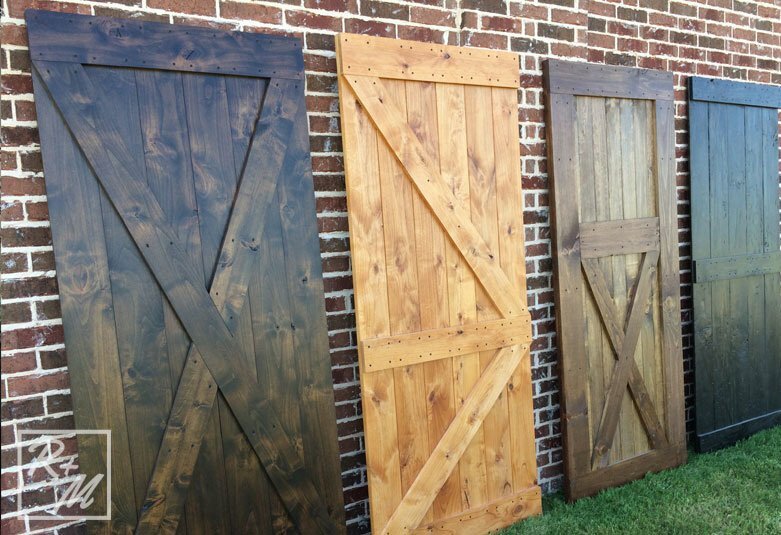 You can even order an unfinished barn door and then paint or finish it yourself to match other decorations. How many doors you use depends on available space, what you’re using the door for, and personal preference. Two barn doors will be more expensive than one, but there are situations where double barn doors will fit your space and design plan better. Click here to read a longer article on this topic. Is A Sliding Door What I Need Here? Sliding doors work well for most doorways. 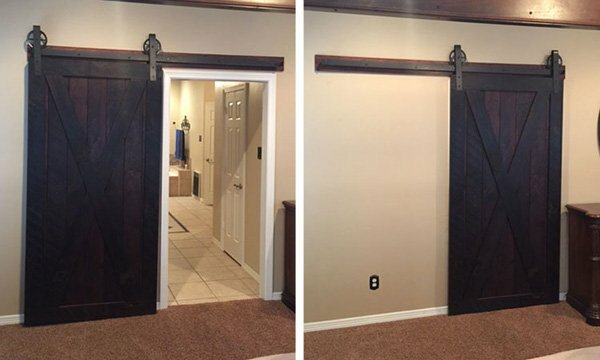 If you want a barn door there and you have enough room, then go for it. 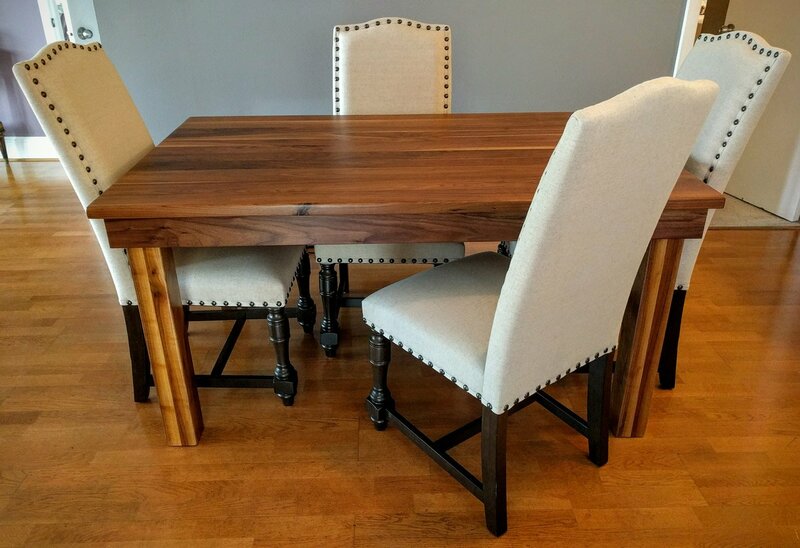 They’re perfect for a pantry, laundry room, or small office that you want to hide away when it’s not in use. Or for acting as sliding room dividers that let you keep the open feel of your home while offering the option to close off rooms, as in the doorway between a living area and dining room. Plus, barn doors are easy for people in wheelchairs or using walkers to open so they’re handicap accessible if that’s something you need. Where Will I Get My Barn Doors? 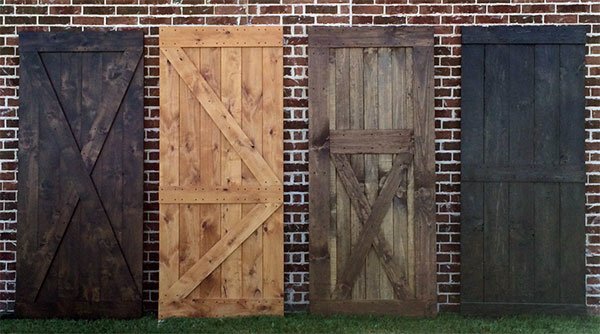 There’s no better place to get your barn doors than Rustic+Modern. We offer doors in a variety of woods and styles, and we can customize them to fit your space. 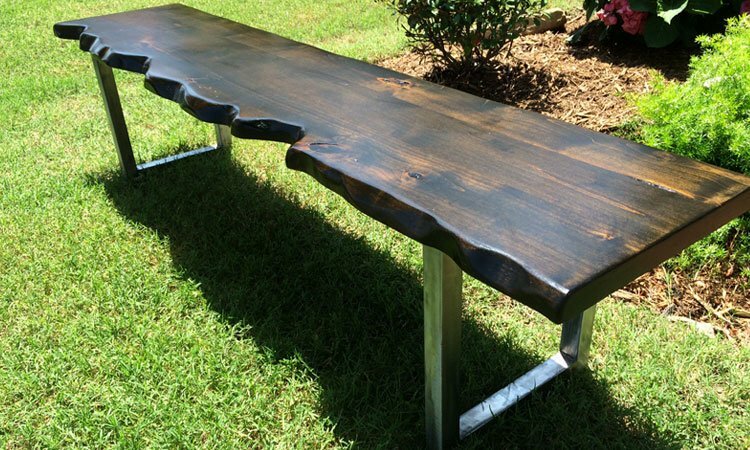 Just place your order through our website or contact us to get started on a custom project. Barn doors have become one of the hottest trends in interior decorating, and their popularity shows no signs of slowing down. The trend isn’t limited to residential home design, either. You’ll also see them used in commercial spaces. One feature of sliding doors is that they easily comply with ADA standards for Accessible Design. ADA guidelines say sliding doors need to have a minimum clear width of 32 inches in the doorway and you need to provide maneuvering room for opening the doors. These regulations are much simpler than those governing swing doors. On top of that, it’s easier for someone with a wheelchair or walker to open a sliding door than to navigate around many types of swing-doors. 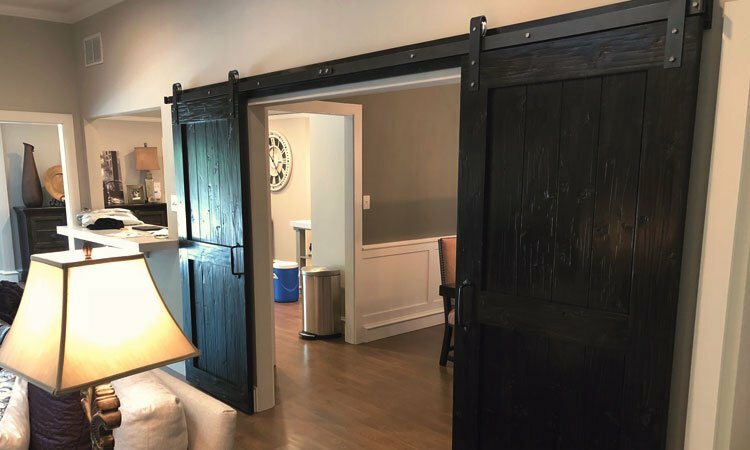 This makes barn doors an ideal choice for saving space and providing easy navigation in public locations that need to meet ADA standards, as well as in homes with residents who have limited mobility. Barn doors can provide larger openings (depending on the size you order), won’t swing shut on their own, and are easy to operate without running into the door or the surrounding woodwork. Tyler Stephens of Core10 Architects says, “I generally recommend to my clients that we use barn doors anywhere you want a large-scale opening – where you are going to leave it open the majority of the time.” This principle applies in a variety of spaces designed for gathering groups of people for work or other actives. 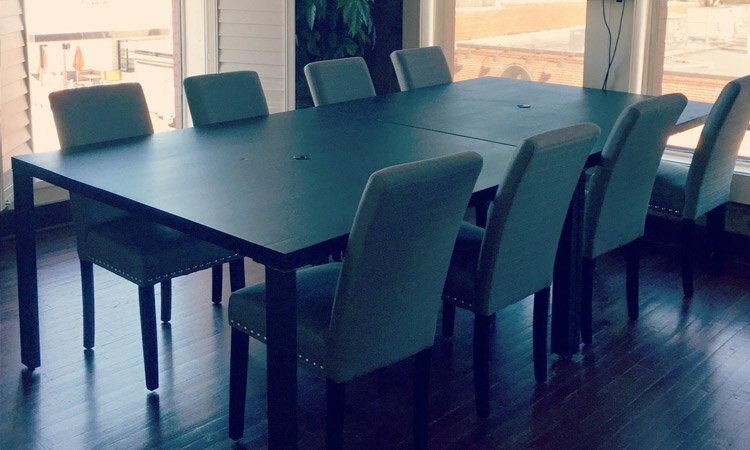 Churches, dance studios, and other locations may want a room design that offers a large space they can open up for gatherings with the option to divide the room for certain actives. 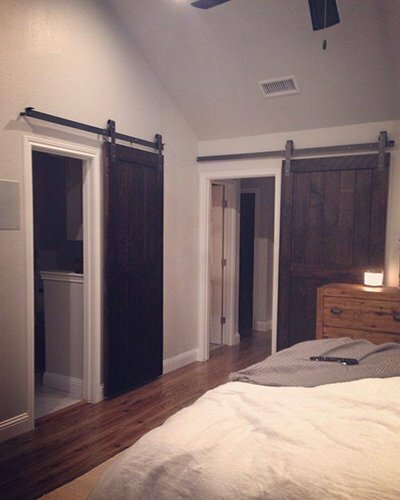 Barn doors are a sturdy and attractive way to accomplish this. 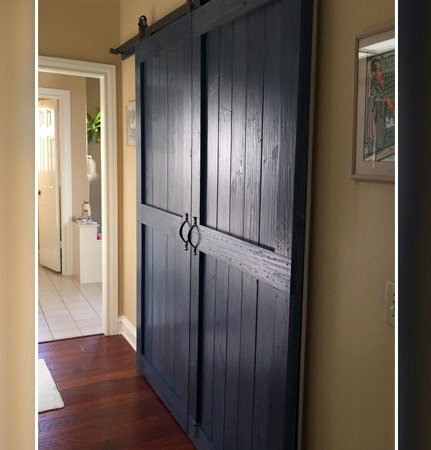 A traditional swing-door takes up about 9 square feet of floor space, while a sliding door only requires a few inches of floor space and enough room on the wall to mount barn door hardware. This is a huge asset in hotel room design, where space is at a premium. Barn doors’ popularity means there’s an added bonus of making hotel rooms using them look trendy and stylish. Barn doors are also showing up more frequently in restaurant design. The large doors are seen as a statement decorating pieces, as well as a functional way to close off banquet rooms or the kitchen. In office settings, sliding doors make it possible for rooms to be left open without having the door take up floor space or get accidentally shut. The doors are then easily closed when you need privacy. This works especially well for meeting rooms and private offices. Sliding doors that are chosen for office settings often have a more modern look than wood barn doors, but you could incorporate wood for a more earthy or industrial-style interior design. Click here to check out our barn door collection and see which ones might work for your commercial space. 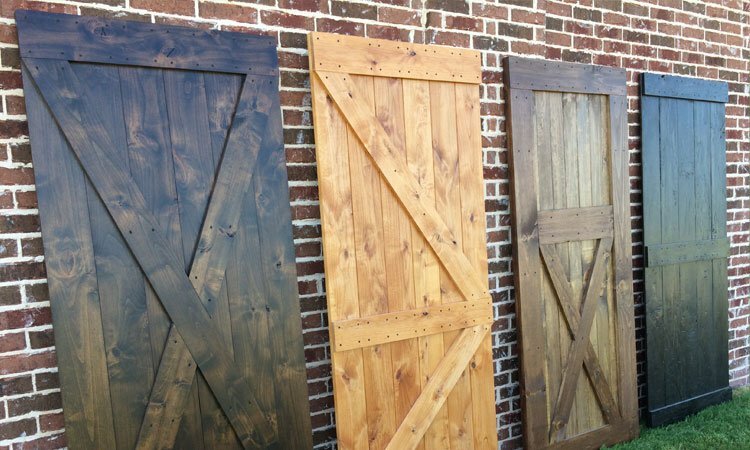 We offer completely custom solid wood barn doors, with a discount if your order two or more doors. You get to choose the finished size and select from several different styles. Barn Doors: Regional or Wide-Spread? Barn doors might sound like something that would be a regional decorating trend. We tend to think of them in the context of rustic and farmhouse decorating, but it would be a mistake to assume barn doors only fit into a specific region or type of interior design. Design trends aren’t as regional as we tend to assume. While some design elements show up more frequently in a specific location, interior decorating tends to depend more on home architecture and the owners individual tastes, rather than on the region where the home is built. Home design has historically been influenced by location. East Coast styles tend to be more traditional and formal. As you move west through the United States, Midwest homes tend toward comfortable and “homey” styles. In the Southwest and on the West Coast there’s more of a Spanish style influence. Today, however, designs for new homes are becoming homogenized. There are many reasons for this – people moving across the country bring design trends they’re familiar with, the Internet lets new home builders source from cross-country designs, and architects travel more. While homes in the same region still share commonalities, they’re more likely to draw on a wider variety of design influences. Barn doors are now found in a wide variety of home designs in areas across the country. According to a Zillow report analyzing thousands of listings across the United States, the phrase “barn door” might help homes on the market sell faster and fetch a higher price point. The most common location where Zillow found a connection between “barn door” and increased sales was in Phoenix, Arizona. That’s not exactly a location known for rustic farmhouse design, indicating that barn doors are wide-spread across different decorating trends and regions. Rather than looking at regional aspects for a reason why barn doors are so popular, we need to look at current design trends. Traditional farmhouse and industrial modern styles are both hot designs right now, and barn doors pair well with both. Industrial modern design is most often associated with city living. The merging of wood, metal, and brickwork for industrial designs means rustic barn doors hung on exposed metal hardware fit right in. Farmhouse design is comfortable, rustic-chic, and stylish – the perfect setting for traditional wood barn doors. You’ll also find barn doors used other cozy styles, like coastal and cottage designs, and they’ll often be painted to match the other decorations.